Adjudicator, Alan Fletcher, Aspen Music Festival and School President and CEO. Musicians must be at least 18 years old to apply. All applicants must live within a 75 mile radius of Pittsburgh. This requirement extends to every member of an ensemble that wishes to apply. Previous Major Artist winners are ineligible to audition again in the same solo instrument or ensemble category. A candidate may not submit more than two applications in one given season, one as a soloist and one as a member of an ensemble. Up to 40 qualified applications will be accepted in the order they are received. Additional applicants will be placed on a waiting list. A candidate who does not show up for audition without giving a valid reason will not be allowed to apply to PCS auditions in the future. A non-refundable application fee of $50 must be included with the application. Applicants must perform a program of approximately 30 minutes. The program must include a work by an American (USA) composer. The program for any application by an ensemble must consist entirely of works written for the full ensemble. Such program may not include any works written for fewer performers than the full ensemble. For an instrumentalist or singer with pianist to qualify as a duo, piano parts may not be orchestral reductions, piano arrangements or adaptations. Solo applicants with collaborative pianists (accompanists) may include works with arranged piano parts or orchestral reductions (opera arias, movememts from instrumental concertos, etc.) Applicants in this category may also program solo, unaccompanied works. Singers must include selections in English and at least two other languages. Although not required, memorization is highly recommended for vocalists. Repertoire must be varied, not overly esoteric, and must represent varied styles and periods. Applicants must provide their own accompanist and page turner if needed. If a candidate is in need of an accompanist, PCS could suggest, but not recommend, a list of pianists. The PCS reserves the right to reject an application for inadequate program quality, for failure to meet the program requirements, or for any reason it determines that an applicant has not met the standards of the Pittsburgh Concert Society Major Artist Auditions. Audition instructions and cards will be e-mailed to all candidates approximately two weeks prior to audition date. They will be emailed to the address given on the application form. Winners receive a recital performance opportunity and an honorarium as outlined below. Winning soloists and ensembles will perform their programs—two winners per recital—on one of three Major Artists Recitals scheduled for the following autumn. 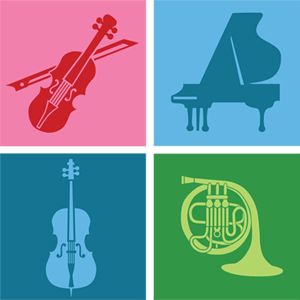 Major Artist Audition winners receive an honorarium after their recital: $1,000 for a solo performer, $750 each for duo performers, $750 each for a trio, $750 each for a quartet, and a maximum of $3,000 for an entire group or ensemble larger than a quartet. The judge’s decision will be announced on the evening of the final day of auditions, and each winner will be contacted directly. The judge’s decision is final. Additionally, the results will be posted on the News page of the Pittsburgh Concert Society website at approximately 10:00 PM on the evening of the last day of auditions. The auditions and Major Artist Recitals take place at Kresge Recital Hall in the College of Fine Arts Building, Carnegie Mellon University in Pittsburgh. Application period: January 15 through March 22. This application must be completed and submitted on or before the application deadline, along with a properly formatted program and a non-refundable fee* of $50.00 payable by credit card on this website. Applications will not be accepted until payment has been received.